Colossians 1:14-20 Who is this Man? Colossians 1:18 Who is Jesus? Colossians 1:1-8 Love, Faith, Hope, and Truth! Colossians 1:9-14 Qualified in Christ! Colossians 1:15-18 Jesus Christ is Supreme! Colossians 1:19-23 Christ the Reconciler! Colossians 1:24-29 Suffering for the Church! Colossians 1:15 Is Jesus a Creature or the Creator? Colossians 1:1-8 What's So Special About our Gospel? Colossians 1:24-27 Mystery No Longer! Colossians 1:15 Isn't He Beautiful! Colossians 1:15 Who Is God? Colossians 1:16: Why Are We Here? Colossians 1:23. 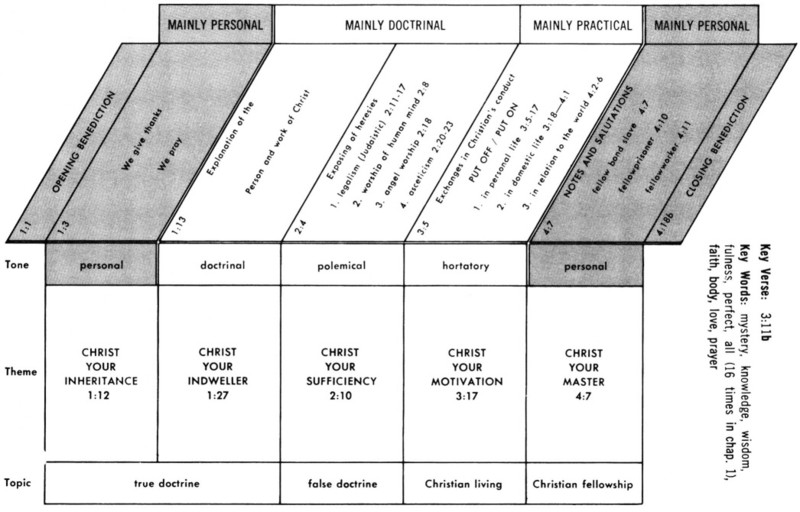 A "New Man"
Colossians 1:29: Dartboard Or Pipeline? Colossians 1:15-23: Why Hope? Gospel! TODAY IN THE WORD - devotionals.